As regular readers will know, I’ve been thinking a lot this week about ancient forms of body armor. I got started on this subject last weekend, when I read about new research on the cloth armor that Alexander the Great and his army favored. 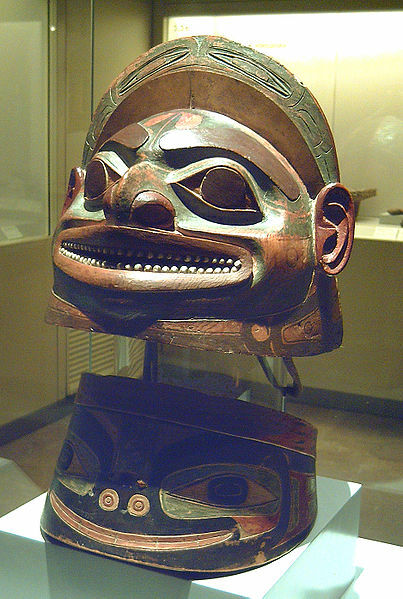 But a question from reader Dan Hilborn and a very cool post over at Northwest Coast Archaeology (one of my favorite blogs) have led me to the subject of wooden armor, specifically the armor Tlingit men wore into battle against Russian traders in the late 18th century. Initially, the Russians traders sailed into Aleut villages, taking women and children hostages in order to force the men to bring them pelts. They did not hesitate to murder their captives if things didn’t go their way. In 1745, a Russian group slaughtered 15 Aleuts on the island of Attu, just to strike terror into the hearts of the villagers. The Aleut people, in turn, tried to expel these ruthless invaders from their lands, but Russian firearms and Russian diseases took a terrible toll. Eventually, the Russians worked their way southward into Tlingit territory. 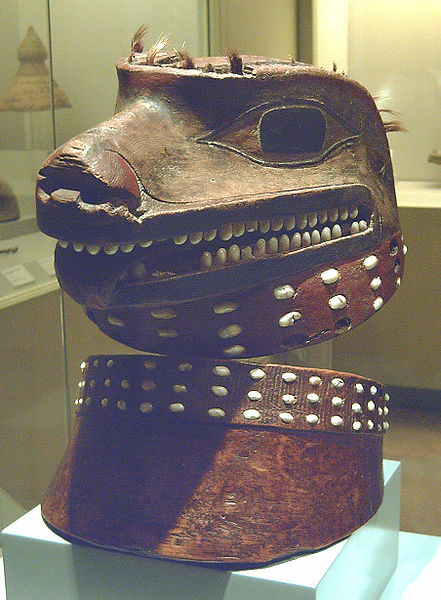 Like many Northwest Coast peoples, the Tlingit fished the bountiful rivers and coasts of their territory and hunted sea lions and other sea mammals. They had a rich, complex culture, with chiefs, nobles and even slaves. To settle grievances with their neighbors, they embarked on raiding parties from time to time, outfitting themselves in armor made from the one of the most bountiful materials in their territory: wood. Tlingit men carved alder into slats and rods, then lashed these pieces together to form sturdy, lightweight armor. But back to my story. After seeing images of Tlingit war gear, I began to wonder how effective it was in battle against the Russians and their firearms. I knew that the Tlingit had put up a very strong fight against the Russians, even capturing their settlement, New Archangel, on Sitka Island in 1802. But an account of one battle in Carl Waldman’s book, Atlas of the North American Indian, really caught my attention. I would never have guessed that well-made wooden armor could deflect a bullet. It looks to me as if we don’t give early armorers nearly enough credit. Please reply, and just so you know my username on these forums is NRN_R_Sumo1. Great article! It was captivating and informative. ( I am Tlingit Indian- so of course I liked it.) Thanks a whole lot.